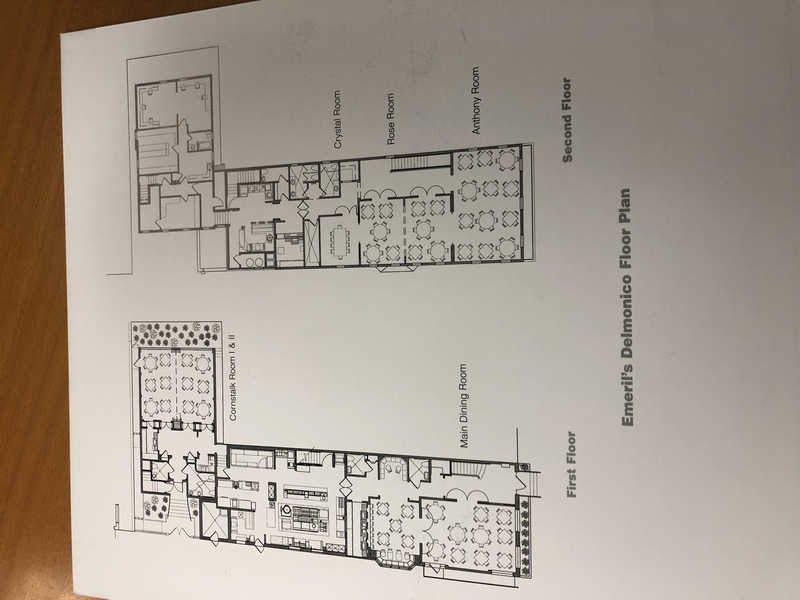 Celebrate, entertain, conduct business and relax knowing Emeril’s Delmonico is passionate about the importance of private dining and special events of all types. We keep the planning simplistic, allowing you to fulfill your vision for your event seamlessly. Emeril’s professional yet warm and friendly style of service enhances the food and overall experience and is the final element to create a memorable evening. The century old building with historic architectural charm, along with elegant contemporary décor, allows for a variety of private dining room options; from intimate gatherings of 10, to larger seated dinners for up to 115 guests. Complete restaurant buyouts can accommodate up to 215 seated or 300 for reception. Emeril’s Delmonico is available for lunch and brunch private dining or buyouts. The cuisine is a reflection of our ambiance offering traditional New Orleans dishes blended with Chef Emeril’s contemporary Creole cuisine. Our culinary team has created a menu highlighting our in-house made charcuterie, dry aged steaks and local seafood and much more, ensuring all guests’ palates are accommodated. Our extensive and award winning wine list will enhance your menu and experience. Restaurant is also available for restaurant buyouts and partial-buyouts. 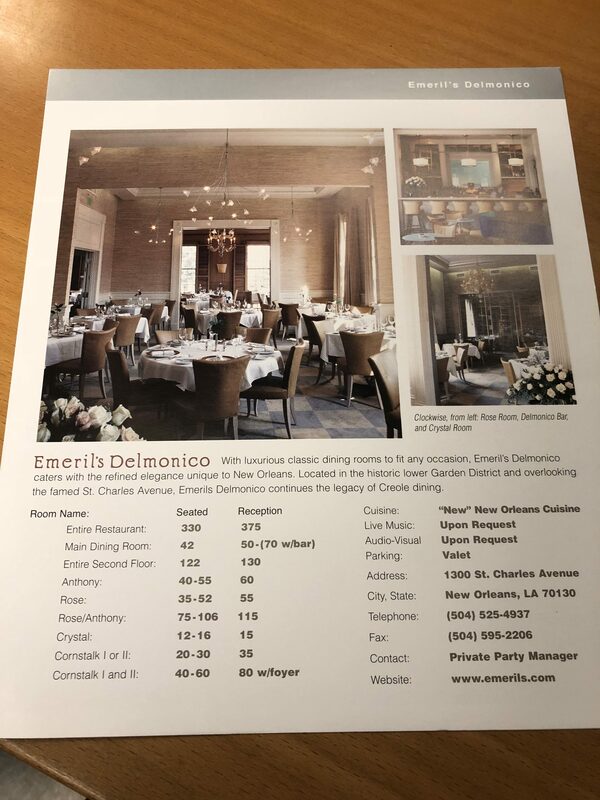 For more information about booking a private event, contact our Sales Manager Theresa Humpal at theresa.humpal@emerillagasse.com or call 504.525.4937.